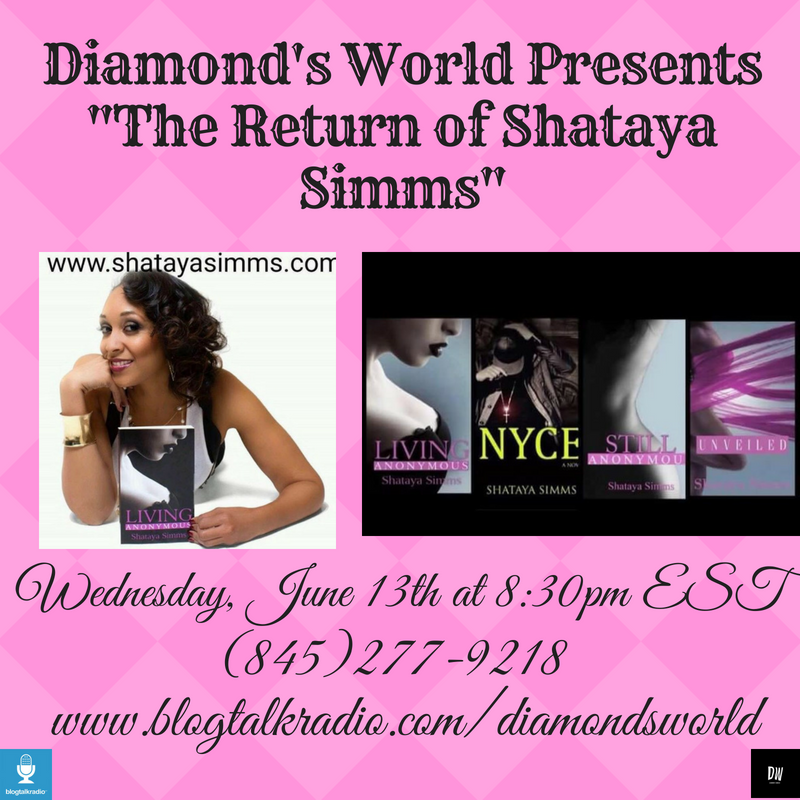 Join me tonight at 8:30pm EST as Diamond’s World Presents “The Return of @authorshatayasimms.” I’ve been telling you guys about this series, and now she’s returning to talk about it. Get your questions ready and call in. We’d love to hear from you.